Red velvet cake is a "special occasion" dessert that is as pretty to look at as it is delicious to eat. 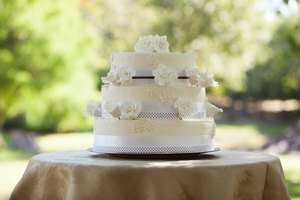 While your hope is that your homemade cake is so amazing that it disappears within a matter of hours, you probably need a back-up plan just in case storage becomes necessary. To maintain the high level of decadence key to the appeal of the red velvet cake, you must keep it moist. With a little extra effort, your cake will taste as good tomorrow as the day you pulled it fresh from the oven. Resist the urge to use low-fat or sugar-free substitutes. Ingredients like real butter, whole milk, egg yolks and real sugar hold moisture, bind ingredients and naturally preserve your red velvet cake. Replace water with oil. 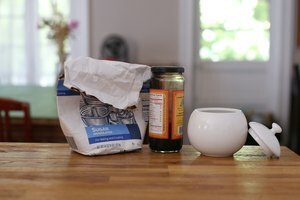 If your recipe calls for 1 or 2 added tbsp. of water (sometimes used in recipes for mixing purposes), substitute it with an equal amount of vegetable oil. Monitor your cake closely while it is baking. An over-baked cake will dry out quickly and crumble. Conduct the toothpick test frequently during the last 30 minutes of bake-time. If a toothpick inserted into the center of your cake comes out clean, your cake is ready. 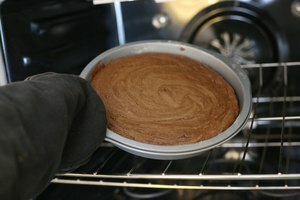 Cool your cake completely before you frost and store it. Place your cake in an airtight cake keeper. Be mindful to secure it correctly and securely. Store your cake in the refrigerator. Because of its cream cheese frosting, red velvet cake must be kept refrigerated. Smooth a piece of waxed paper against the cut side of your cake to hold in moisture. Remove your red velvet cake from the refrigerator one hour before serving. Your red velvet cake will retain its optimal flavor and consistency for approximately 2 to 3 days. Do not consume red velvet cake that has been left out of chilled storage for more than 24 hours. 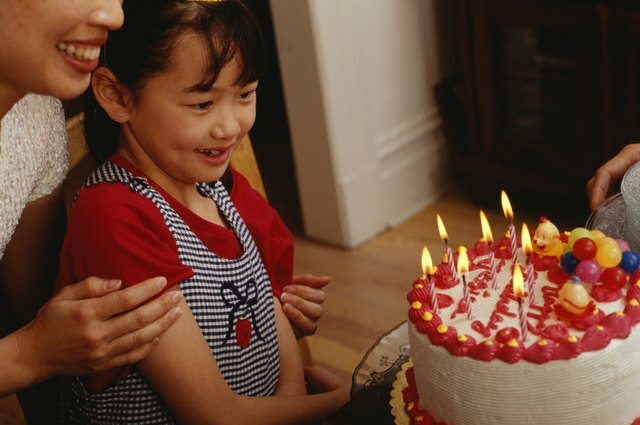 Spoiled cream cheese frosting may cause food poisoning. Yvette Sajem has been a professional writer since 1995. Her work includes greeting cards and two children's books. A lifelong animal advocate, she is active in animal rescue and transport, and is particularly partial to senior and special needs animals. What Is the Purpose for Vinegar in Red Velvet Cake? How Long Can You Keep Ice Cream Cake in the Freezer?